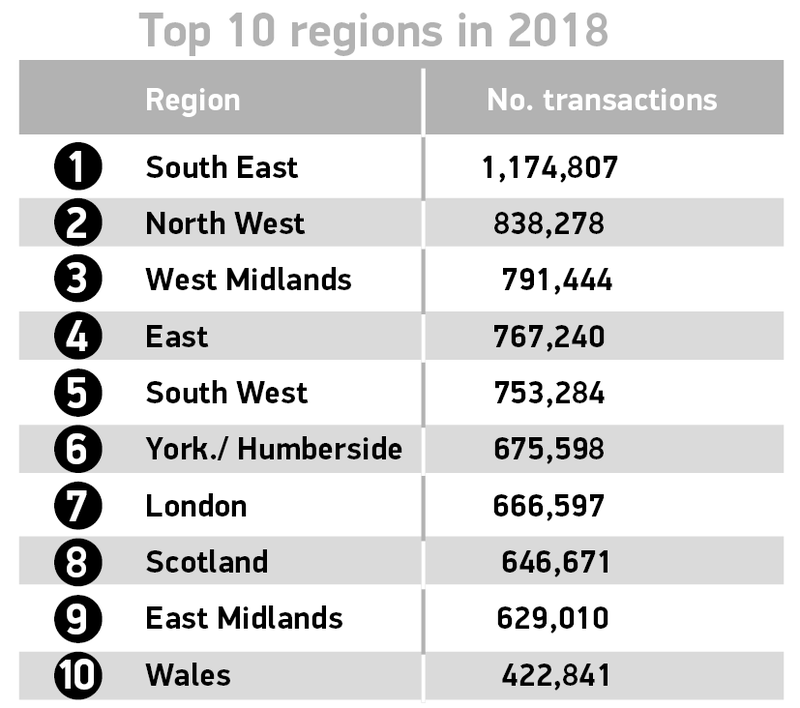 Britain’s used car market finished the year slightly down on the previous 12 months, dropping -2.1% to 7,945,040 transactions in 2018, according to figures released today by the Society of Motor Manufacturers and Traders (SMMT). The 2018 performance was 167,980 sales lower than in 2017, a decline not as severe as the new car market and still the third highest year on records going back to 2001. Growth in the market came through sales of hybrid, plug-in hybrid and battery electric cars, which rose 27% in the year to 106,658. 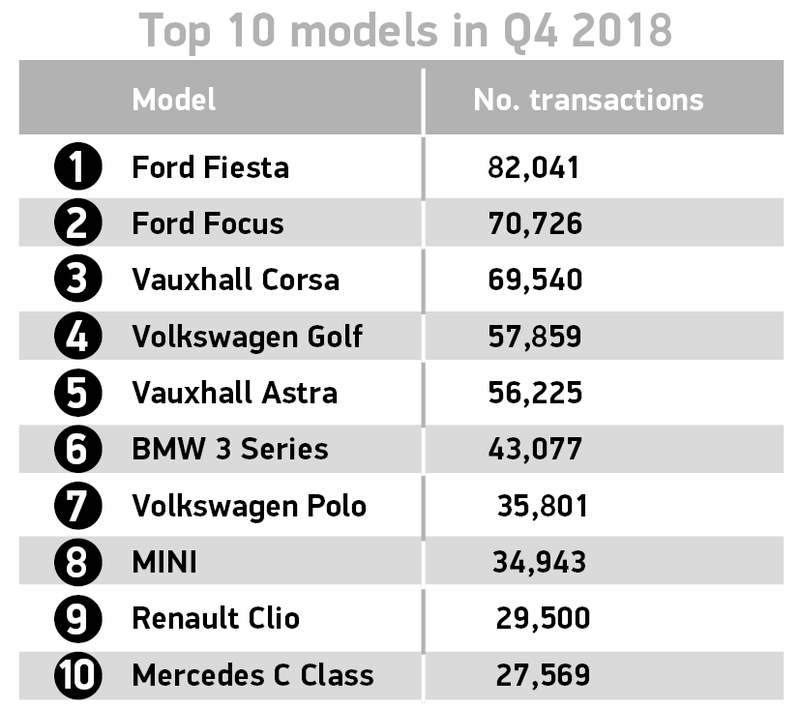 Conventional petrol and diesel models countered recent trends seen in the new car market, with petrol showing a full-year decline in sales of -4.2% and diesel holding steady with a 0.3% increase. While superminis remained the largest segment grouping in 2018 with a 33% market share, sales were down -3.7% to 2,618,544. Growth in sales of larger vehicles supported the used market in the year, with dual purpose and executive cars up 9.3% and 2.3% respectively. All other segments recorded falls over the period. Black cars remained a favourite among used buyers, with more than 1.6 million of them changing hands during the year. 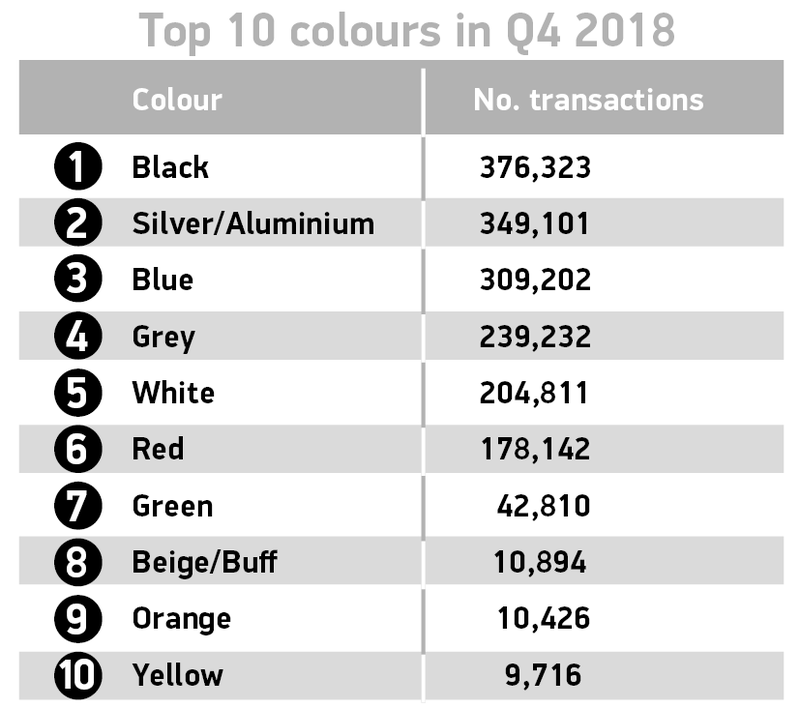 Silver and blue were the next most popular colours, maintaining a 59% market share between the top three. 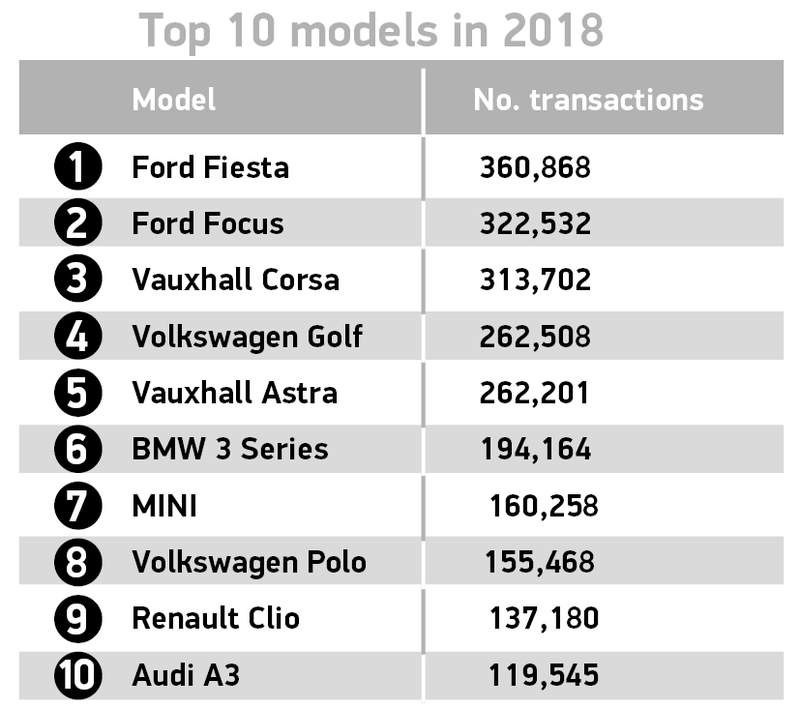 Current new-car favourite grey could only manage fourth place in the used car market, which will surely change over the next few years as supply filters through to buyers. Orange showed the strongest growth of all colours during the year, up 9.7%, as 46,416 buyers opted for the bright hue. Meanwhile, green cars fell in favour, with sales dropping -16.6% to 202,561. It’s encouraging to see more used car buyers snapping up low-emission vehicles as supply grows – but those sales remain low as an overall proportion of the market. We still need the right policies and incentives from government to give new car buyers confidence to choose the cleanest petrol, diesel and electric models that best suit their needs, so that even more drivers can benefit from this exciting technology as it filters down to the used market in the coming years. Used car data supporting this release sourced by SMMT from DVLA.